TRI CITY ICEHAWKS IS HOSTING A FUNDRAISING 70'S - 80'S DANCE. COME JOIN US FOR A NIGHT OF DANCING TO "THE SOUL XPRESS BAND", APPETIZERS, RETRO CONTEST, FOR BEST RETRO OUTFIT, CASH BAR. THE COST IS $25 PER PERSON, COST ALSO INCLUDES ONE DRINK TICKET! COME OUT AND SUPPORT THE ICEHAWKS, AND ENJOY A FUN NIGHT OF MUSIC, DANCING AND FOOD. THE NIGHT KICKS OFF AT 8PM ON SATURDAY, JUNE 8, 2019. 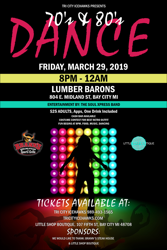 CLICK ON LINK BELOW TO PURCHASE TICKETS. CLICK ON BUY NOW, BELOW. YOU CAN PURCHASE 1 TICKET OR UP TO 4 TICKETS AT A TIME. Chase has played Junior hockey for 5 years, playing from Detroit to the East Coast, after playing slowed down, because as we know, Chase never stops playing hockey, he decided to go into coaching. 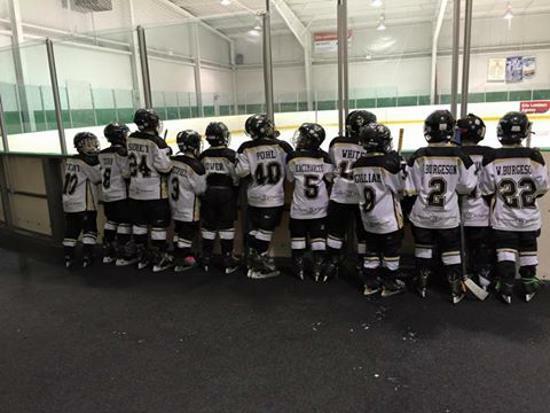 He has coached several levels of youth hockey and has coached our Junior team as an Assistant Coach as a Head Coach, for 3 years now, going into his 4 year, he decided he likes being an assistant coach, and helping with the management of the team. As always we are happy to have Chase for all these years, with his love for the game and his coaching and management skills, good luck this season Chase. Played youth hockey in the Bay City/Saginaw/Midland Areas of Michigan, he moved on to play junior hockey for the Flint Junior Generals, after many great seasons of Junior hockey, Rick, moved on to ACHA, D1-college hockey where he played and attended Liberty University in VA, he was definitely a star there, check out link below. After Graduation from Liberty, Rick, started his pro career with the Liege (Belgium) Bulldogs in Belgium and had a successful career, and where he was introduced to his now fiance' Shani Hartemberg, and to be married soon. Rick has since moved back home to work and is starting his second year as Assistant coach for the Icehawks. Good Luck Rick with your upcoming season with the IceHawks. OUR STAFF IS TALENTED AND COMMITTED TO THIS TEAM, AND LOOK FORWARD TO THE SEASON. COME JOIN US TO PLAY, WE HAVE A FEW OPENINGS FOR PLAYERS, OR COME AND ENJOY A GAME, SCHEDULE TO BE POSTED SOON. WE HOPE EVERYONE HAS A GREAT 2018-2019 SEASON! SEE YOU ON THE ICE. We are working hard to try and give players a feeling of what it is like to play like a pro, so last year we added an entry tunnel, for players to go skate through as the take the ice before a game! WILL YOU SKATE THROUGH THIS TUNNEL THIS YEAR AND JOIN THE ICEHAWK FAMILY! WELCOME TO THE 2018-2019, SEASON! WELCOME TO THE 2018-2019 season. We are busy preparing with our coaches to get ready for our 11th season on the ice. Coaches are out attending showcases and tournaments to build a new competitive team. Every season is different, different players, and different competition, so we need to be prepared to face some strong competition. 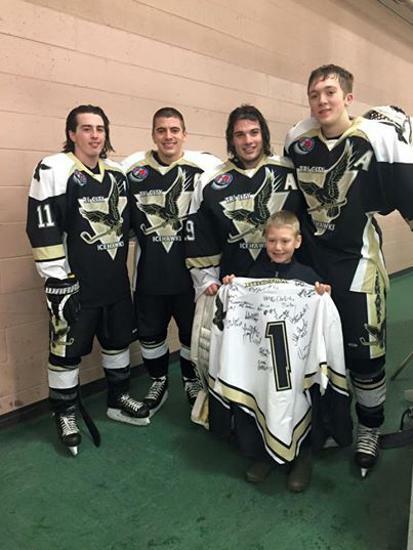 If you are looking to play in the Premier Division of the USPHL, take a look at what our team has to offer a player. 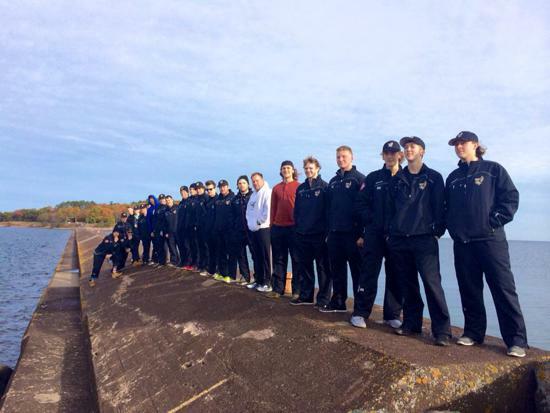 Strong development, good coaching staff, dedicated billet families, and a nice town to live in. We are updating our bus, we have been working on getting it completed over the past year, we finally have things lined up to get our bus wrapped, so we are excited to get this done. 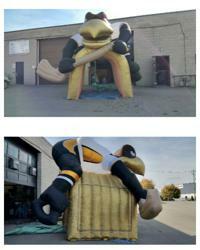 We look forward to the new season, and hope to see you on the ice or as a fan! Tri City IceHawks had their Alumni game today, and many players were able to come out, they didn’t let the Snow storm or the fact that it was Super Bowl Sunday, stop them. It was a fun day for all players, Coaches and staff. It was So exciting we may add a spring game! Thank you to all players who participated in this Alumni game, we can’t wait to have another game, it is always a good time to watch our Alumni play, and reunite with old friends. Thanks to all the parents who came out to watch the game too, and congratulations, to the Alumni team for their win with 7 goals for the Alumni and 6 goals for the 2017-2018 team!! Good job to Coach Eric Albrecht on his hat trick for the Alumi team. Hope to see everyone at the next Alumni team. players can find more photos on our a face book team page and Fan Page, or under photos on our website. With nine seasons under their belt the Tri City Icehawks find themselves in the top division of the USPHL for the 2017-18 season. 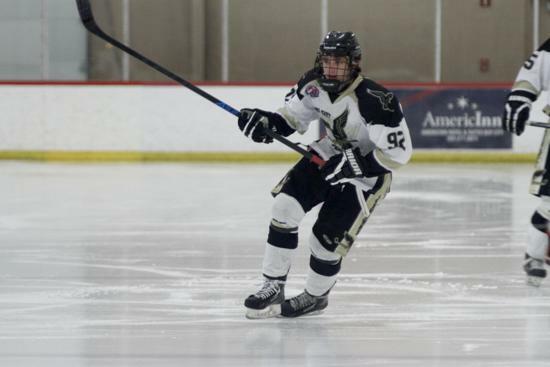 "We are excited to have this opportunity, to take that step with the USPHL Premier League. The team has worked hard for this, and feel that we are ready and already preparing on putting the proper staff, and changes into affect." 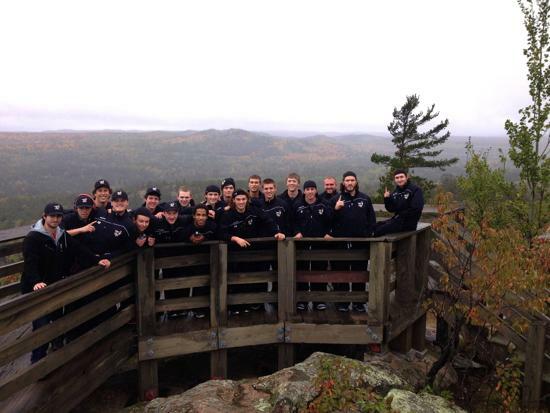 Why Play for the Icehawks? The Icehawks had active alumni in the 2016-17 season playing in the ACHA and NCAA Division 3 college levels, former players at the Tier 2 Junior Hockey level with both the NAHL and WSHL, as well as many players playing internationally and at the professional level in the ECHL. Tri City Icehawks will be advancing to the Premier division for the new season 2017-2018. We are excited, to make this announcement and are looking forward to bringing some of the best Tier III hockey to the Tri City Area. Please look under "TRYOUTS", to sign up for either of these events. Tri City IceHawks are excited to announce that our NCDC affiliate team for the 2017-2018 season will be: Syracuse Stars. We look forward to an exciting new season, and having our affiliation with the new USPHL, NO PAY TO PLAY LEAGUE. TRI CITY ICEHAWKS MIDWEST REGULAR SEASON CHAMPIONS! 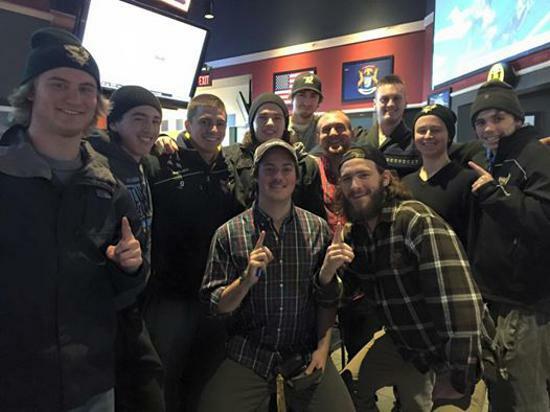 TRI CITY ICEHAWKS SECURE MIDWEST'S FIRST SEED IN USPHL'S BOSTON CUP FINALS!!! The Tri-City ICEHAWKS from Bay City, Michigan, Head coached by George Daniel & Assistant coaches Chase Dore & Eric Albrecht have punched their ticket to Bean Town for the USPHL Finals. Over the weekend the ICEHAWKS were able to knock off the Marquette Royals in two straight games with a great defensive mind set. Before the game ICEHAWKS Head Coach George Daniel would tell his team. "Let's make sure that we continue to do what we have done all year play defense first and if we do we will get our chances to score goals tonight". On Friday night Tri-City did just that as they would put up 7 goals in three periods of play on Royals starting goalie Josef Dusenka to win 7-1 in game one of the series. The ICEHAWKS would out shoot the Royals 44-17. Tri-City forward #96 Benito Posa would get the hat trick in this game with #17 Sam Hanson adding two goals of his own and #2 CJ Bradburn geeting a goal as well. The Royals lone goal would come from Christian Leeb. With the ICEHAWKS up one game to none in this best of three game series looking to close out the Royals they knew it would not be easy. The ICEHAWKS would keep in mind what Head Coach George Daniel told them the night before and they would get the same results with a 7-1 victory. Tri-City would put up 35 shots on starting net minder Josef Dusenka with #13 Lucas Rothe scoring the first goal of this contest a the 10:41 mark of the first period to make it 1-0 #10 Marks Mezsargs would score the second goal to make it 2-0 Tri-City at the 17:40 mark of the first period and it would be 2-0 ICEHAWKS after period number 1. In the second period the lone goal would come from #17 Sam Hanson to make it 3-0 ICEHAWKS after two periods of play. The Royals would get 17 total shots on starting goalie Cody Foster in three periods of play only scoring one goal by forward Erich Walter. Tri-City ICEHAWK forward #13 Lucas Rothe would net his second goal of this contest in the third period and #25 Addison Edwards, #4 Dakota Bohn and forward #17 Sam Hanson would also get his second goal of the evening to close out the game and move the Tri-City ICEHAWKS on to Beantown. 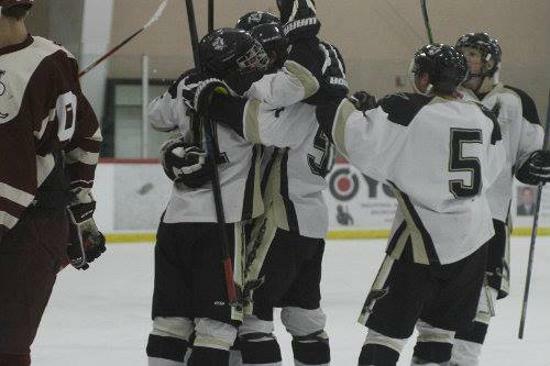 The celebration on the ice after the game would be a great site to see by the ICEHAWK fans. 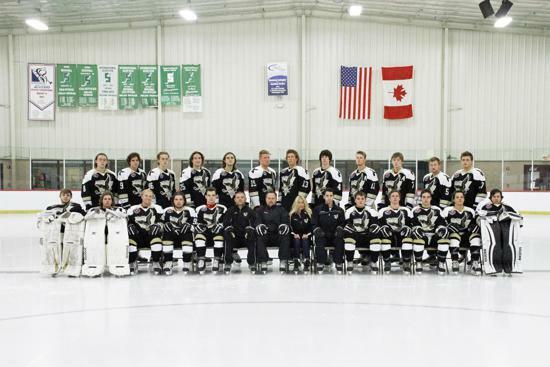 "This team will celebrate for the evening and we will be ready to head to Boston on Monday afternoon for the USPHL Playoffs" owner Colleen Dore said. Co-Owner Art Dore also comment that "These young men have worked hard all year long for this moment they deserve this". The Tri-City ICEHAWKS will travel to Boston on Monday afternoon to get ready for game one of the USPHL Playoffs (see schedule and times posted below). To watch the games on line go to fasthockey.com for live coverage. Thanks to all of our fans that have supported us through out the season. GO ICEHAWKS!!!!!!!!!!!!!!!!!!!!!!!!!!!!!!!!!!!!!!!!!!!!!!!!! Following up with our 1995's, and what their plans are for the end of season. 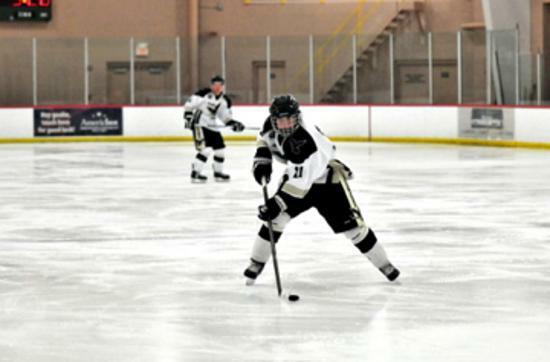 When USA Hockey put its 2015 Tier II 18U National Championships in Troy, Michigan, George Daniel saw an opportunity. The head coach of the Tri City Icehawks joined scout Bob Ybarra in making regular visits to the national championships. “We basically set up shop,” Daniel said. And, they set up the Icehawks for a breakthrough season. The IceHawks dazzled in Boston, downing the Charlotte Rush 6-0, the Potomac Patriots 4-0, the Islanders Hockey Club 3-1 and the Daytona Racers 5-0. TRI CITY ICEHAWKS GETTING READY FOR A NEW SEASON! 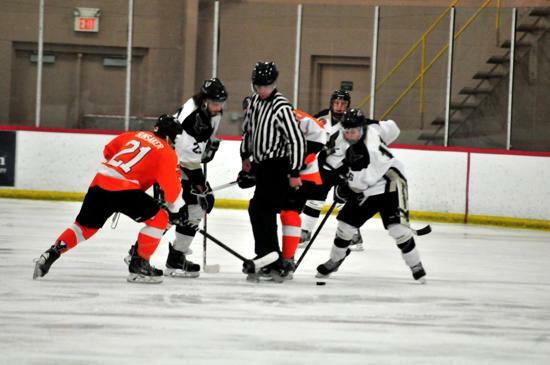 The Tri City Ice Hawks will look to defend their 2015-16 USPHL Midwest Division Championship starting June 24th and June 25th at Suburban Ice in Farmington Hills. Tryouts are open to all players with 1996 to 2000 birth years. The goal of the Tri City Icehawks is to help each participating player have an opportunity to showcase his respective talents and to help facilitate each participant’s move to the next level. Over the past nine years the Icehawks organization has proven to be tremendously successful helping players get the opportunity to showcase their talents and move to the next level of hockey after Junior hockey. TRI CITY ICEHAWKS END THE 2015-2016 SEASON AS CHAMPIONS! The Bay City-based U.S. Premier Hockey League team took three games in three days of weekend action, bumping its record to a stunning 16-2 in the Midwest Eastern Conference. 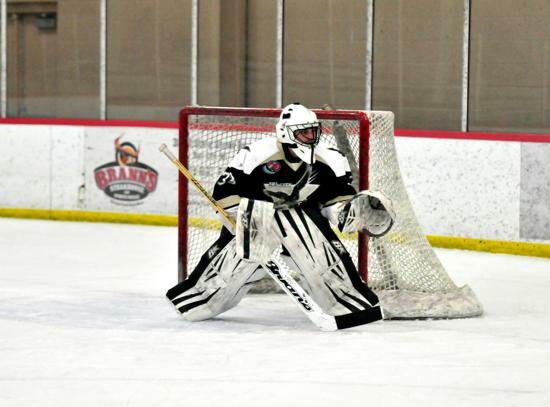 The IceHawks return home to the Bay County Ice Arena this weekend to face the Michigan Wild. IceHawks hire new play by play announcer for upcoming season! 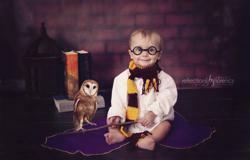 Hi my name is Gryffin Krzysik, and my daddy Ted. Is the new announcer for the Icehawks, we are so excited, see you in September, at all our home games. 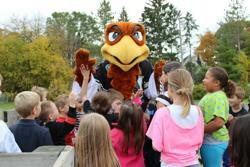 IceHawks are working with local schools to teach kids hockey. It is a great sport and good exercise for the kids, and they also enjoy the team Mascot who comes along to cheer the kids and players on.